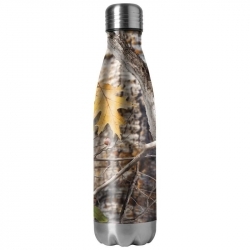 Your favorite hot or cold drink is ready to go when you are with the X-PAC(TM) 16.9oz Double Wall Stainless Steel Vacuum Bottle. 16.9 ounce capacity, stainless steel construction, and double-wall vacuum feature holds the temperature for hours. We engineered this thermos to be leak-proof and portable for the outdoor enthusiast and the commuter. X-PAC(TM) Logo Laser Engraved on Top of Cap. Camo. Great gift idea. The Wyndham House(TM) Granite Liquor Dispenser with Tap is the perfect bar accessory and conversation piece. Add a bottle of your favorite liquor, dispense a perfect pour through the tap for your friends. 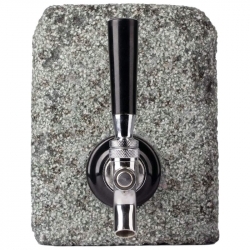 Rough-textured granite stone construction with a stainless steel tap. Measures 7-1/4' x 5-1/2' x 5-1 /2' (fully assembled). Gift box. 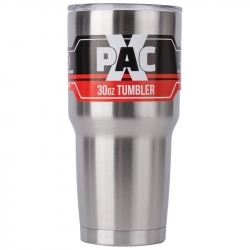 Durable stainless steel construction inside and out, the X-PAC(TM) 30oz Double Vacuum Wall Tumbler with Lid is the hallmark of quality insulated tumblers. Double-wall insulated means no sweating, and superb capabilities to keep your drink of choice hot or cold for hours. This high-end insulated travel or desk mug holds a whopping 30 ounces of your favorite hot or cold drink. Sleek satin finish on the interior and exterior makes clean up a breeze. A clear, acrylic lid will keep your morning smoothie or coffee in the mug and not in your lap. X-PAC(TM) logo embossed on the bottom of the tumbler. Great gift idea! 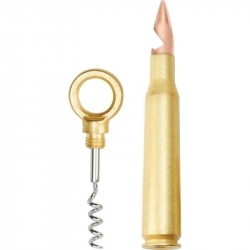 Features 50 caliber size and zinc die-cast. Measures 1-1/4' x 7'. Limited lifetime warranty. Gift boxed. Elegant and functional stainless steel drinkware, perfect for poolside and patio use. No man cave should be without this Maxam(R) Stainless Steel 4 Piece Double Wall 13 Ounce Tumbler Set. 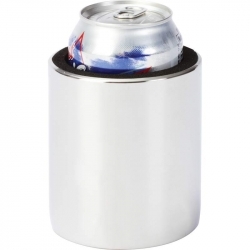 Keeps your favorite beverage warm or cold for hours! Durable, high-quality construction will last for years. 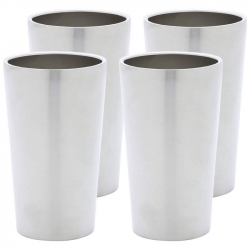 Set of four 13 ounce double-walled tumblers in a stylish steel brushed finish. Double-Wall Stainless Steel construction means no moisture rings on the furniture! Perfect for the camper! Each tumbler stands 5 1/2 inches tall and is 2 1/2 inches in diameter. Limited Lifetime Warranty. Gift Box. 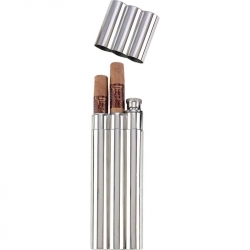 This stainless steel flask serves as both a handsome storage for 2 cigars and a discreet flask resembling a third cigar tube. Features a polished finish. Measures 7/8' x 8-1/4' x 2-5/8'. Limited lifetime warranty. White box. The Maxam(R) 12 Oz. 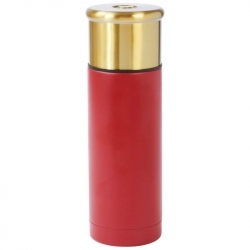 Stainless Steel Flask, produced from the pocket of a suit while among refined company screams style! 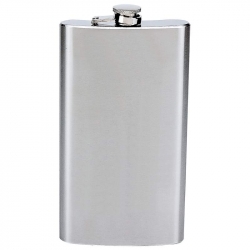 Sleek and contemporary, this hip flask will compliment any manner of dress, from tuxedo to blue jeans. 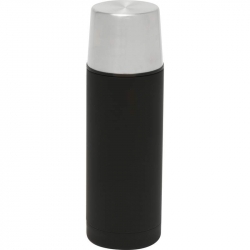 Flask sides are a brushed finish, with a polished finish on top and bottom of flask. 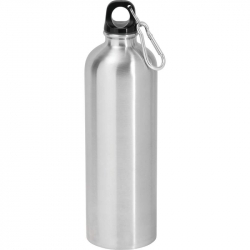 Stainless steel construction features screw-down cap. 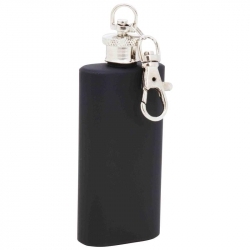 Carry your spirit of choice discreetly in a hip or interior pocket for a nip on the go. Measures 3-5/8' x 7' x 1'. Limited lifetime warranty. White box. 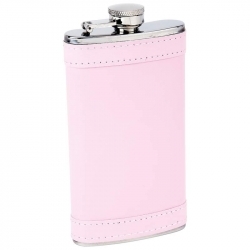 Petite, adorable, and ready to party, the Maxam(R) 6oz Stainless Steel Flask with Pink Wrap has just the right about of Woo-Hoo! for you. Screw-down cap keeps liquids secure. Features pink faux leather wrap and polished finish on top and bottom. Measures 2-3/4' x 5-5/8'. Limited lifetime warranty. White box. 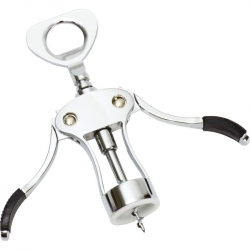 Features chrome-plating, rubber grips and built-in bottle opener. Measures 2-1/2' x 7-1/2'. Carded. 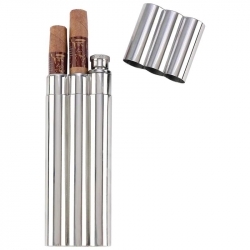 This stainless steel flask serves as both a handsome storage for 2 cigars and a discreet flask resembling a third cigar tube. Features a polished finish. Measures 2-5/8' x 8-1/4' x 7/8'. Limited lifetime warranty. White box. Features T304 stainless steel liner, double wall construction, one-touch stopper, and brushed finish screw-down cap. Measures 11-1/2' tall, 3-7/8' in diameter. Limited lifetime warranty. Gift boxed. Attach the Diamond Plate(TM) Magnetic Stainless Steel Cup Holder to anything metal, such as riding mowers, tractors, heavy construction equipment, backyard metal tables, and more. Features heavy-duty magnets in base for a secure hold. Handsome exterior mirror finish, insulating foam insert to keep drink cold, and a drainage hole. 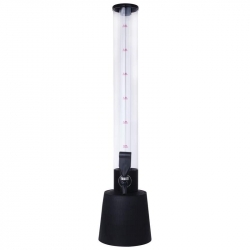 Measures 3-1/2' diameter, 4' height. Gift boxed. Features double wall with black rubber-touch finish and satin-finish cover that doubles as a cup. Measures 11-1/2' tall, 3-5/8' diameter. White box. 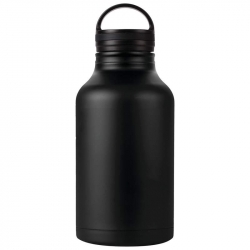 Transport your favorite drink during your commute or keep a drink at your desk in the X-PAC(TM) 64oz Growler. Single wall construction features a black exterior and satin finish interior. 304 stainless steel body with black finish, black lid with handle. Holds a whopping 64 ounces (8 cups). XPAC(TM) Logo embossed on bottom. Features durable stainless steel, polypropylene leak proof cap and a Maxabiner(TM) clip for easy attachment on-the-go. Limited lifetime warranty. White box. Get ready for a Prohibition-style night out! 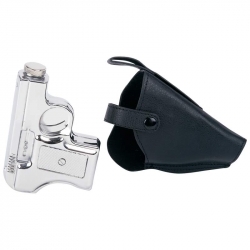 The gutsy Maxam(R) 6oz Stainless Steel Pistol Flask Set will have everyone abuzz with intrigue. The set includes a 6oz pistol-shaped flask and faux leather holster, designed to open-carry your favorite beverage and get plenty of laughs, too! Measures 5' x 2-5/8' x 1'. Limited lifetime warranty. White box. 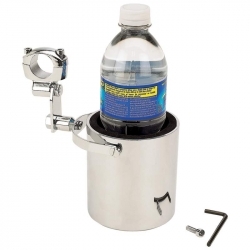 Keep the drinks flowing at your next party with the MAXAM(TM) 3.7qt (3.5L) Beverage Dispenser with cooling chamber. Eye-catching focal point for the bar, you'll have a hit on your hands with this fun beverage dispenser. You can count on an accurate and reliable pour every time. Holds 7 pints. Features removable tap for easy cleaning. Measures 9-3/4' x 33-1/2' x 7-3/4'. Gift boxed. Features matte black soft-touch coating and screw-down cap. Measures 1-5/8' x 4-1/4'. Limited lifetime warranty. White box. 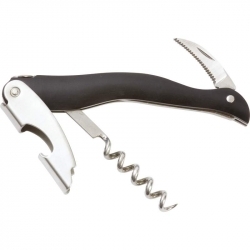 Features Leymar(TM) handle; oval thumbrest; handcrafted corkscrew, bottle opener and small blade. Measures 4-3/4' closed. Gift boxed. Prize Points is a customer relation company. We are dedicated to assisting the local merchants form relationships that are advantageous for them and for their customer. The Rewards Points that our merchant partners issue to the cardholders is meant to be a show of appreciation for your patronage. Visiting the local merchants is the best way to keep money in your community. Prize Points works with local businesses to help ensure the continued prosperity of the community at large.